FE-13 is a high-pressure clean agent manufactured by DuPont. The agent leaves no residue when discharged in a fire or non-fire situation. FE-13 efficiently suppresses fires by the process of physiochemical thermal transfer. The presence of the FE-13 molecule at the flame front absorbs heat from the fire as a sponge absorbs liquid. FE-13 is safe for use in occupied spaces with no exposure restrictions up to a concentration of 24%. The agent does not deplete stratospheric ozone, and has a sufficiently low atmospheric lifetime to be ruled “Acceptable” by the US EPA. FE-13s low boiling point and high vapor pressure makes it useful for those applications requiring agent storage below 0°F (-17°C). Additional information on FE-13 can be found on Kidde data sheet 96-1300. FE-13 represents the ultimate in human-safe clean agent technology. These systems offer the widest safety margin between use concentration and onset of exposure restrictions ever seen. Design planners can rely on FE- 13 to provide effective protection at low temperatures, without human exposure issues when the hazard is at a high temperature. Likewise, hazards with changeable contents are a challenge which can be faced with FE-13. Concentration for both the empty (gross) volume and filled (net) volume can be safe for people, with no exposure restrictions. 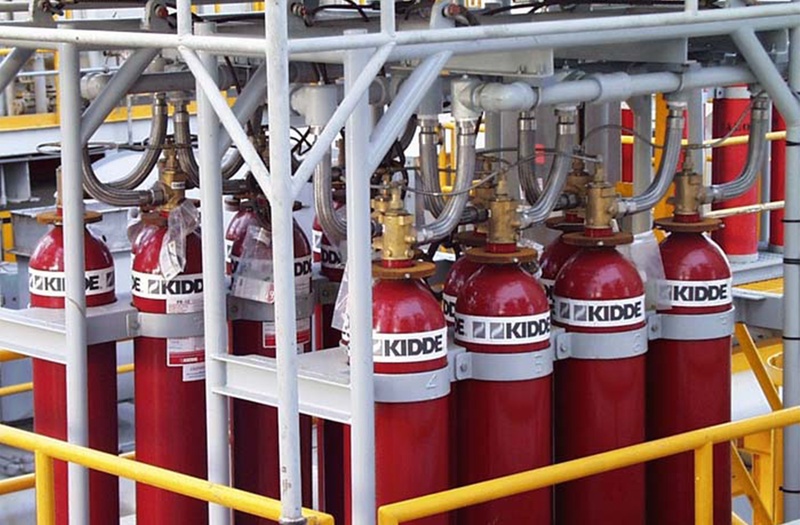 If the hazard is a difficult one, requiring more than a minimum design concentration, the safety margin of FE-13 allows a comfortable “cushion” of concentration, ensuring fire suppression which is both safe and effective.